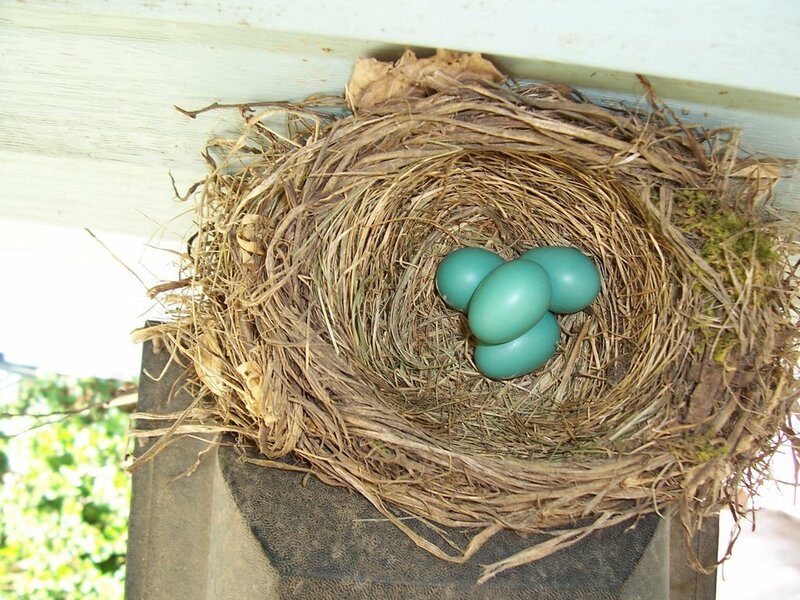 Jesus The Radical Pastor: "Well, hello, Mrs. Robin.../ Jesus loves you..."
We are delighted to announce that we have a new resident at our home. 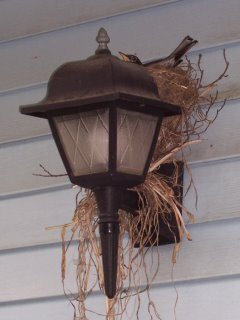 Mrs. Nesting Robin has made a home for herself above our front porch light-fixture. Some days ago we noticed a mess of grass on our porch and hanging weeds from the light. We left it alone wondering if we might be taking on some boarders. Indeed, we are. 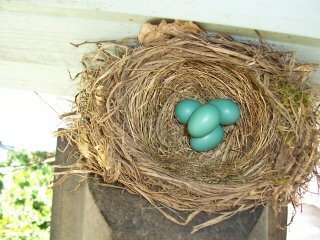 A nice rounded nest sits in the middle of this otherwise hairy-looking abode. She is an intelligent bird in choosing the front light fixture. 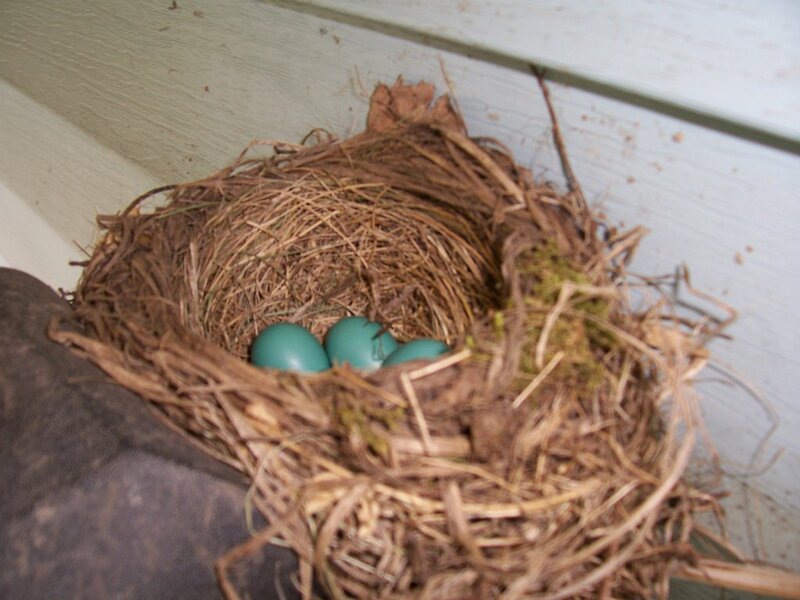 We have noticed in the back yard a number of robins which, having built their nests in the evergreens, must chase off pesky squirrels intent on getting to the eggs. Julie and I were on the deck early this morning sipping coffee and helping the robins by shooting at the squirrels with a pellet gun. We have a mezuzah on our front doorpost with the Jesus-expanded Shema (the Jesus Creed) in it. We like to think the robin feels like the sparrow and swallow in Psalm 84. Awesome, John! Amazing stuff from our God. We are pleased with Mrs. Robin's choice.